Three Precious Miracles (TPM) packed all twenty four bowling lanes at Ak-chin Ultra-star on April 21st 2018 with Native Royalty and children and families. This event is one-of-a-kind experience for Native foster children to embrace culture and spend time around Native Royalty well having fun. TPM provides resources during transition and bridging gaps of Native children so they don’t lose their culture. 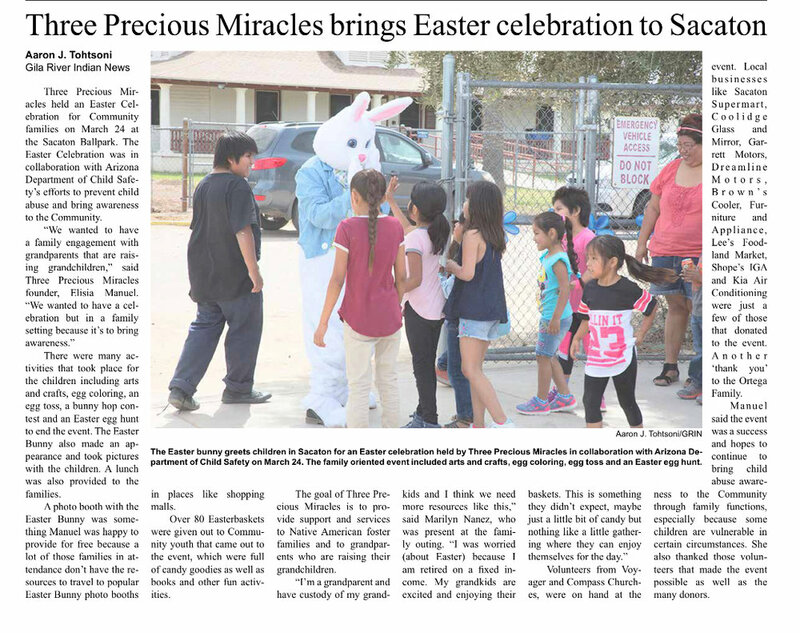 This event made such a huge impact for children and families throughout the valley. This opportunity allowed children to reclaim their identity, their culture, their pride, and their dignity by having positive role models around them to share their time as they represent their heritage and culture. This helped foster youth feel connected to their roots well creating opportunities to educate children in regards to each youth’s tribe, along with pride for their culture, thus has been an undeniably powerful tool for creating a path filled with possibility and life. This event created natural supports to Native American children that are undergoing past and current trauma by embracing their cultural identity while healing and provides possibilities for a positive future and development of leadership abilities that not only effects individuals but positively impacts society for generations. Our family successfully adoption of our third child on Saturday November 7th 2015 at the Pinal County Superior Courthouse in Florence.